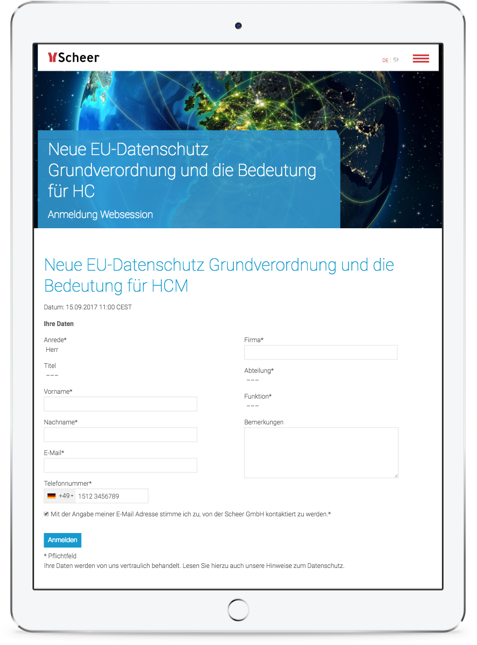 Use our beautiful customized web forms to easily onboard your participants for your upcoming webinar. Follow up with personal digital Businesskits with a wide range of possibilites: Digital Brochures, Goodies, Rich Media and many more. Detailed interaction analyzing and reporting linked with CRM-Sync provides deep participants insights turning into leads – fully automated. 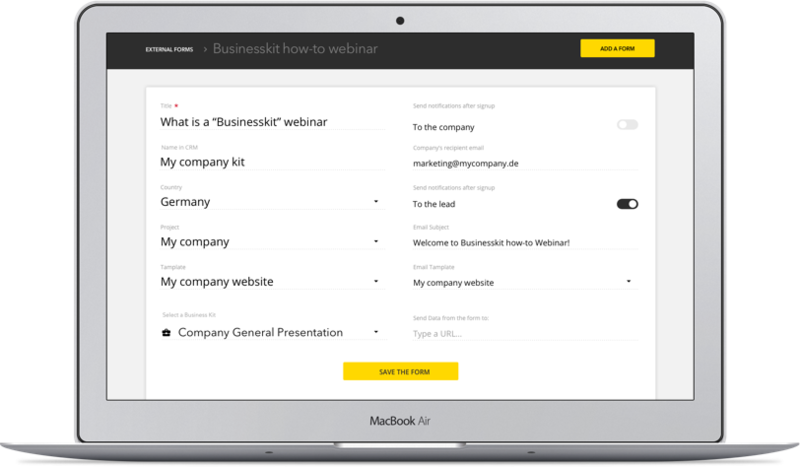 Start your webinar preparations the right way with our customized web forms created for your individual needs. Set up required capturing fields in your desired design and determine the follow up actions automatically. Technology teamwork at its best. 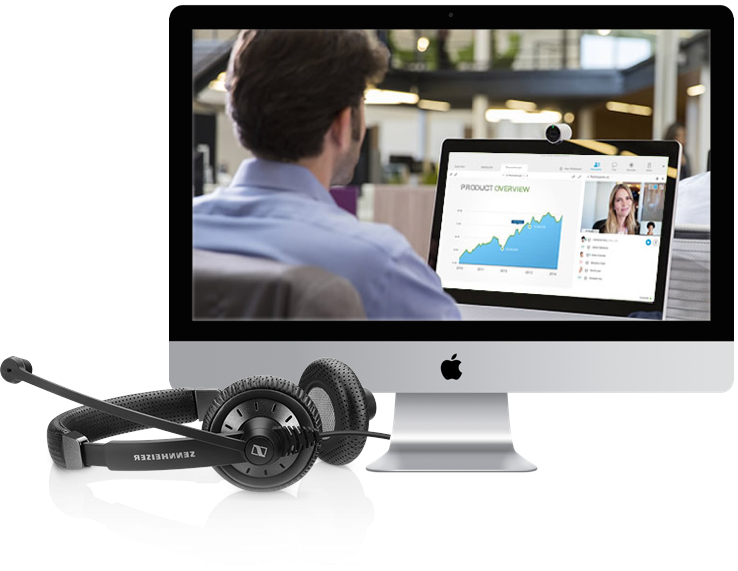 Simple interface integrations between your existing webinar platform and our technology you will fall in love with and lead to focus on your principal activities. Using a different CRM or tool? No problem – We integrate it for you! 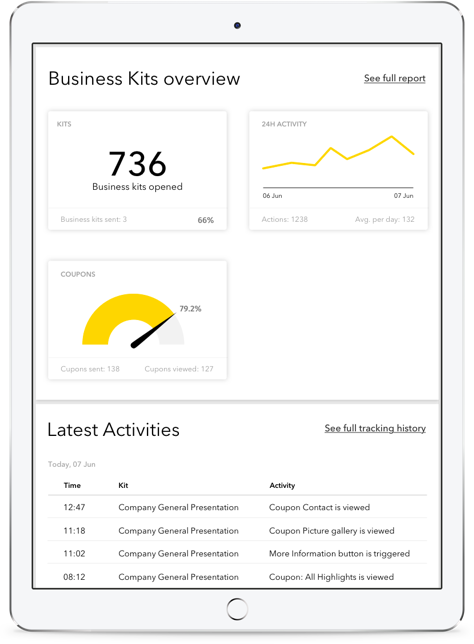 Impress your new potential leads with our digital Businesskit technology to drive interaction and engagement performances to a next level. Define individual lead nurturing processes with sensational functionalities. Track specific content and website interaction clearly structured in real-time. Prepared detailed reports and data enriched CRM syncronisation will lead to deep insights for your sales department to boost sales activities. In only 5 weeks to your successful webinar. Looking for an effective way to achieve your goals this year? 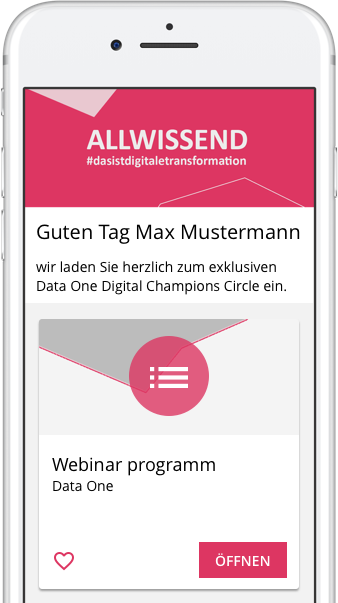 hileadzz enables customized and tailor-made follow-up information for webinar participants of Data One.